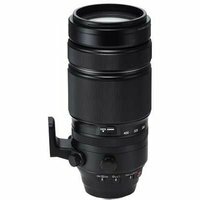 The Fujifilm 100-400mm f4.5-5.6 R LM OIS WR Fujinon super-telephoto lens has 21 elements in 14 groups to reduce chromatic aberration and deliver ultra-sharp images. A 5.0-stop image stabilisation system and linear motor work in synergy to achieve quiet, fast auto focusing. The Fujifilm 100-400mm lens is perfect for shooting a variety of subjects, including portraiture, wildlife, and sports.